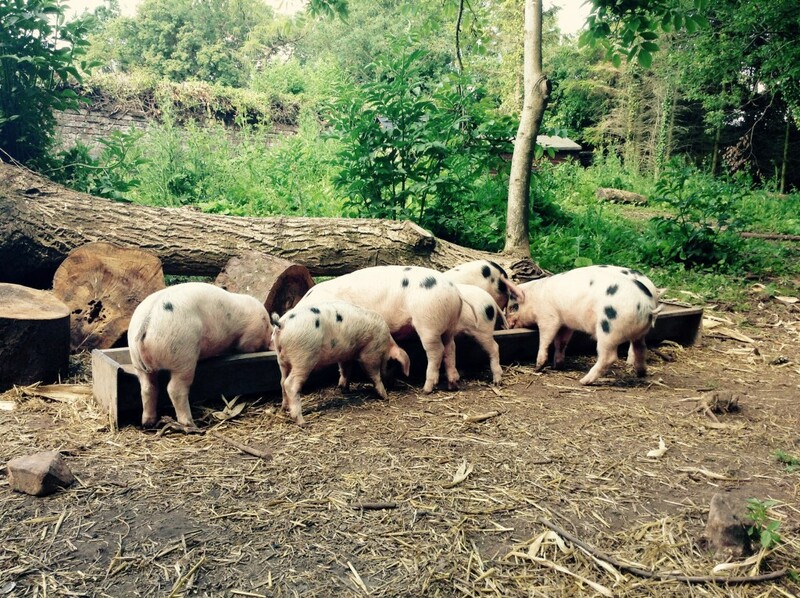 In 2014, armed with some Gloucestershire Old Spot pigs and a nineteenth century walled garden, we launched the ‘Ham from Ham Project’. The aim – to make the finest ham for our “Ham, Egg and Chips”. We had a lot of fun and the ham and pork was amazing. Being involved at every stage was so important to us. Knowing that our pigs were happy with room to exercise and root around. Knowing they were fed on a traditional diet of apples and whey. Knowing they were killed humanely without stress. Knowing the meat was butchered ourselves and the ham was properly cured. Carrying out all aspects ourselves gave us unrivalled confidence in the quality of the meat we were producing. There was just one problem. We’d only done one third of the meal. We forgot the egg and chips! To rectify this, this year we have set ourselves the challenge of growing and producing all the components of our all-time favourite pub meal. In February 2015, amidst the chaos of award ceremonies and press attention, a cardboard box with four, two-week old chicks arrived at the pub. The end-result of a primary school, egg-hatching venture, these four birds were saved a future as factory-farmed, egg-laying machines and became unwitting participants in our new food and farming adventure. Later in the Spring, with the help of some very good friends, we built a chicken run in the Walled Garden. In conditions far exceeding free-range, under the shade of overgrown Christmas trees and protected by an electric fence to keep out Mr Fox, the home for the Sally chickens is the equivalent of a penthouse suite in a top, five star hotel. Our four pub-reared chickens were warren hybrids and good layers. As passionate believers in supporting rare breeds however, we added two Silver-Spangled Hambergs, two Buff Orpingtons, two Cream Legbars and two Light Sussex’s into the mix. 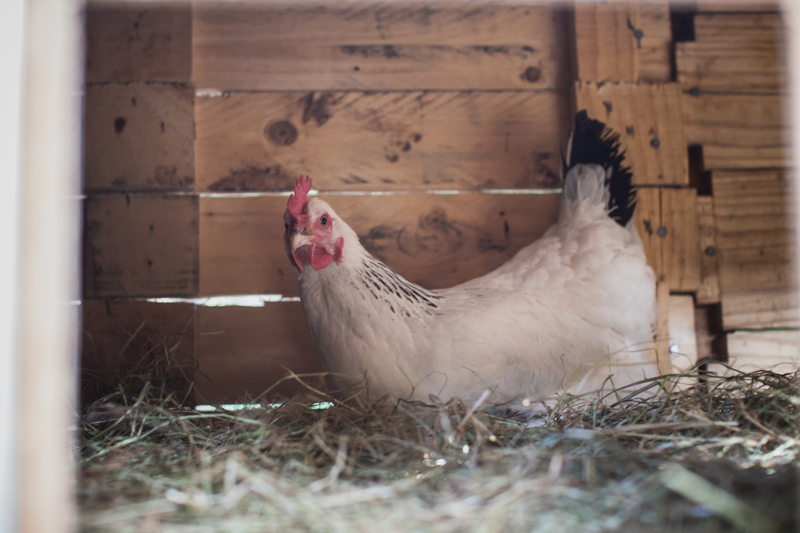 Fed on corn, spent grain from the brewery and layers meal, our Sally hens are laying a colourful variety of eggs from blue to brown, to cream and white with frequent double-yolkers. The eggs have rich orange yolks, thick albumin whites which hold in the pan, but most importantly they are laid fresh for us, every single day. 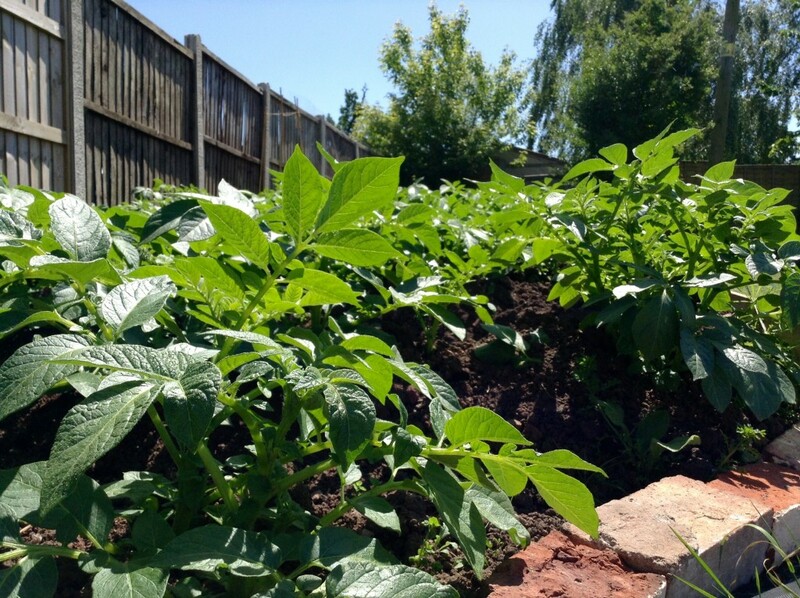 As for the chips, in April our green-fingered Landlady planted two crops of potato. One first-earlys of new potatoes which were harvested in July and one main crop of Maris Pipers harvested in September. A great all-round potato with a light, fluffy texture – perfect for chips. With the slow-growing Old Spot pigs, true to form this year and a bit behind schedule, the spuds have been stored, clamped in hay, until the hams were ready. Our first plates of 100% home-grown, Walled Garden Ham, Egg and Chips made from ham from Ham, fresh, free-range eggs and home-grown hand-cut chips will be served every lunchtime until we sell out from Tuesday 26th January 2016 onwards. It could well be a UK pub-first and we will have completely overseen the production of every ingredient from field to fork and plate to gate. Washed down with a pint of Tiley’s Pale Ale from our own brewery, this will be a plate of Ham-grown food to truly cherish. Sign up for emails about our forthcoming events!